Following the assassination, the Venezuelan authorities mounted a high-level investigation which identified ex-police agents Otoniel and Rolando Guevara as involved in the plot and who were arrested on November 26, 2004 and charged with homicide. The same day the Guevara brothers were arrested two other suspects in the case, lawyer Antonio Lopez Castillo and, another former police agent, Juan Carlos Sanchez were shot dead by investigating officers in separate incidents. A police search of the home of Lopez Castillo revealed a small arsenal of weapons, ammunition and military equipment. Subsequently, the investigation widened in search of the organizers and planners of the murder. By August 2005 the Venezuelan authorities had detained Giovani José Vásquez De Armas, a self-confessed former member of the Autodefensas Unidas de Colombia (AUC), the Colombian right-wing paramilitary organization. 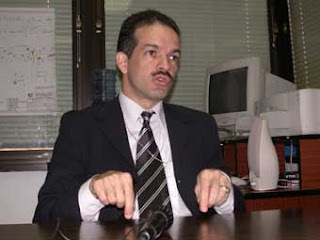 In sworn testimony given on August 29, 2005,Vásquez de Armas declared that he had participated in two meetings to plan attacks against members of the Venezuelan government. He alleged that participants in the second meeting decided to target Danilo Anderson. After that second meeting Vásquez de Armas said he collected 12kg of C4 plastic explosive in Panama and transported it to Venezuela. The credibility of this key prosecution witness came into question after it was shown he had a criminal record for identity fraud in his native Colombia and he was not a psychiatrist as he had pledged to be. Documentation of uncertain provenance has been produced apparently showing that Vasquez de Armas was serving jail time in Santa Marta, Colombia, at the time he claims to have witnessed the planning of Anderson's murder by leading opposition figures. Venezuela's Attorney General moved to control press reporting on Vasquez de Armas while the case was sub-judice.The ban on discussing the personal life and alleged unreliability of Vásquez was lifted in August, 2006. His testimony has been extremely controversial since he directly implicates leading figures of the Venezuelan opposition by name and considering he has change his declarations several times. The Attorney General himself has said he is not to be trusted completely, but also said he believed Vásquez statements on the case only by looking at him "in his eyes". Yet, on the basis of his testimony, warrants were issued for the arrest of leading journalist Patricia Poleo, Nelson Mezerhane, retired general Eugenio Áñez Núñez and Salvador Romaní. Mezzerane, Áñez and Romaní turned themselves in and were granted bail in December 2005. Poleo did not present herself to the authorities. She was interviewed in a TV show in Peru on January 2006. On December 20, 2005, Otoniel and Rolando Gutiérrez were sentenced to 27 years and 9 months imprisonment each, while their brother Juan Bautista was sentenced to the maximum 30 years. The investigation into who masterminded Anderson's murder is ongoing and has become one of the most controversial topics in Venezuelan politics. Investigative journalists from media opposed to the government have reported a number of apparent irregularities in the investigation. Reports that Anderson allegedly operated an extensive extortion racket aimed at opposition figures and lived well beyond his means have repeatedly surfaced and have been rejected by most people close to Anderson as well as the government.The opposition notes that three prosecutors put in charge of the Anderson murder investigation have been publicly accused of taking part in Anderson's extortion racket. These accusations have been rejected by the government and have not been substantiated. Similarly, Venezuelan Attorney General Isaías Rodríguez was accused by government opponents of turning the investigation of Anderson's murder into a political issue, using the case to harass government opponents.The accusations indicate the continuing polarization of political opinion in Venezuela between the opposition and the government.